The BMW M3 has always been considered to be the benchmark for compact sports sedans. Its excellent handling, dynamic engines and, most importantly, the rear-wheel-drive would make every single car lover smile. Alfa Romeo has returned to the sports after quite a long break. After the Giulia QV came out in 2015, not only it demonstrated a stunning Nürburgring lap time but also participated in numerous comparative tests. That’s how it managed to beat the king of the segment - BMW M3. 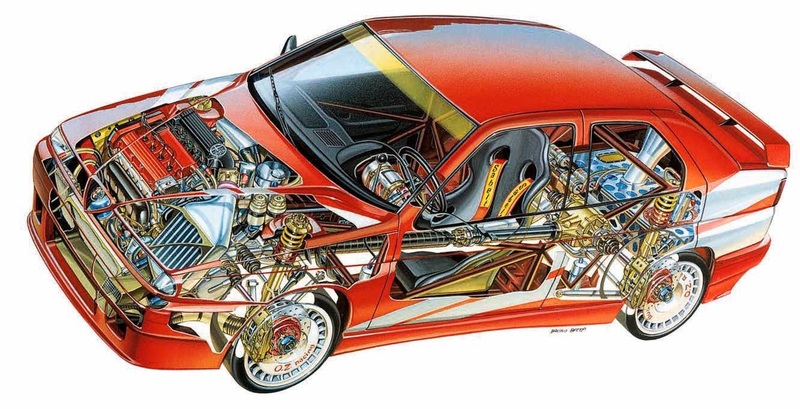 However, if we were to open the textbook of unsuccessful Alfa Romeo projects, we would find several dozen models that were created only for one goal: to become the best sports coupé or sedan out there. And if we had to select one Alfa Romeo project that had huge potential but never made it into production, we would put the 155 GTA Stradale prototype on the pedestal. The letters “GTA” always had a different meaning for Alfa Romeo engineers. This is not just a combination of random letters – GTA always symbolized a line of exclusive, ultra-fast models that have dominated the motorsports arena during the particular period. An excellent example would be the Alfa Romeo 156, which prevailed in different circuit racing disciplines from 1998 to 2003. 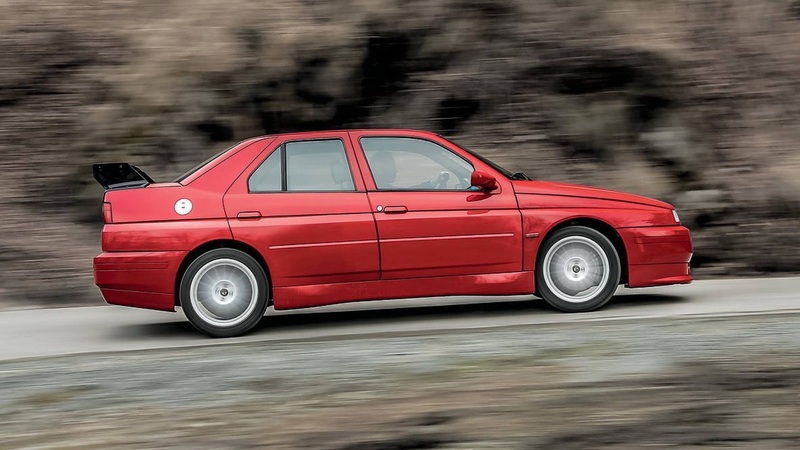 Wanting to properly mark the 156’s victories on the track, the company’s executives introduced a model in 2001 marked with the GTA designation – the 156 GTA. However, the revival of the legendary GTA name could have occurred much earlier. The right time would have been around 1992–1993, when Alfa Romeo engineers began working on a sports version of the 155: the 155 GTA Stradale. 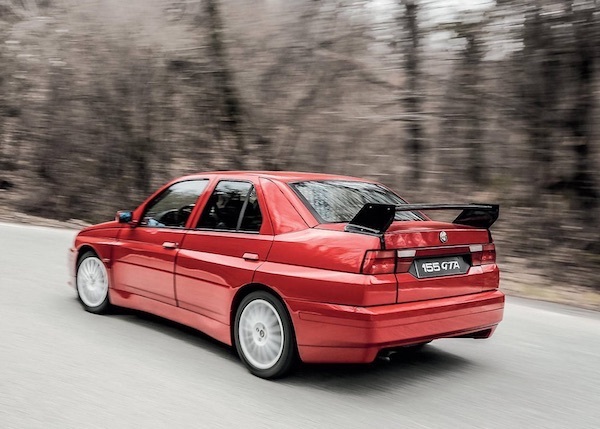 It could have become the BMW M3’s assassin, but the Fiat Group blocked the road to mass production. 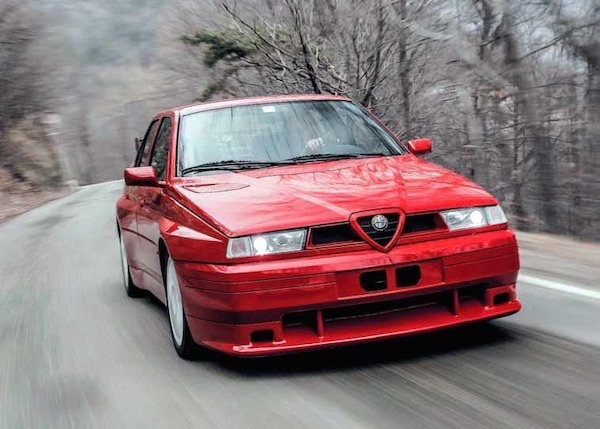 Various rumors about a more powerful version of the Alfa Romeo 155 have swirled for years, until the editors at Ruoteclassiche magazine managed to find Rino Anello, the owner of the one and only Alfa Romeo 155 GTA Stradale prototype. The car had been hidden from curious eyes for years. However, after long discussions and requests, it was demonstrated to the public, including the readers of Ruoteclassiche. The 155 GTA Stradale prototype was built when the Fiat Group decided to stop Lancia’s dominance in the World Rally Championship. 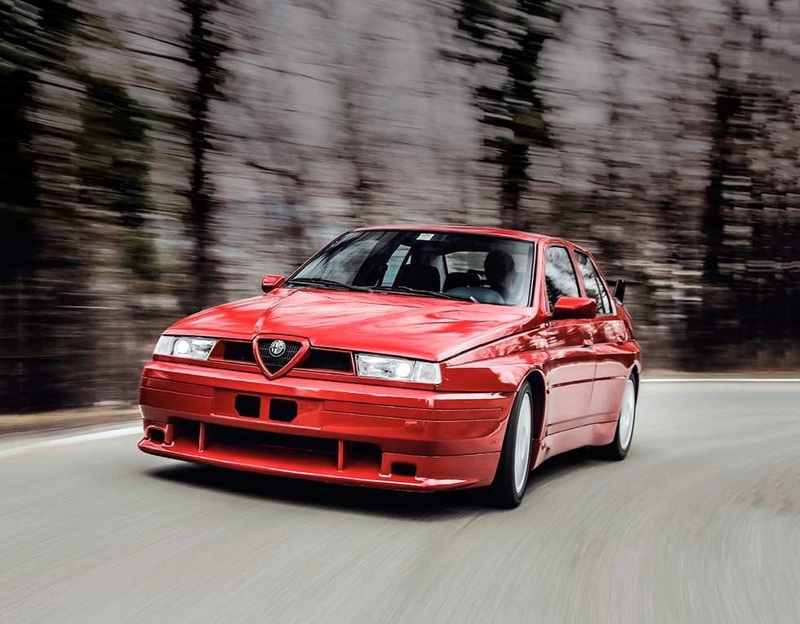 They wanted to pay more attention to Alfa Romeo, and execute a grandiose plan to revive it. 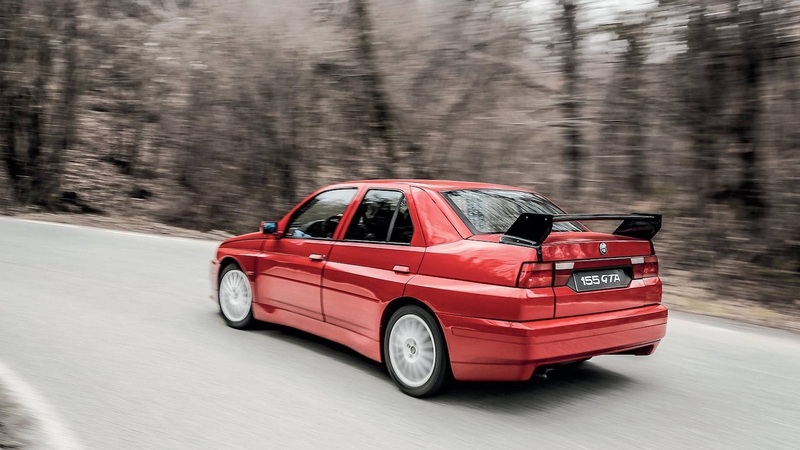 Alfa Romeo had just started production of the sedans, and former Lancia rally team members together with a group of Abarth engineers began working on a racing version of the 155 model. In 1992, the 155 participated in the Italian Superturismo Championship. 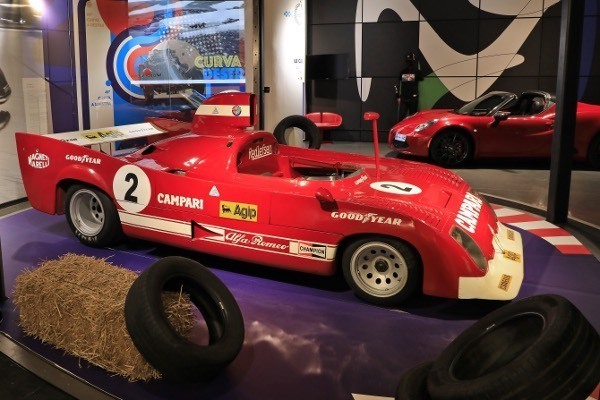 The race was like a small practice session before the serious test at the German DTM, where Alfa Romeo came to the starting line with a radically changed car. 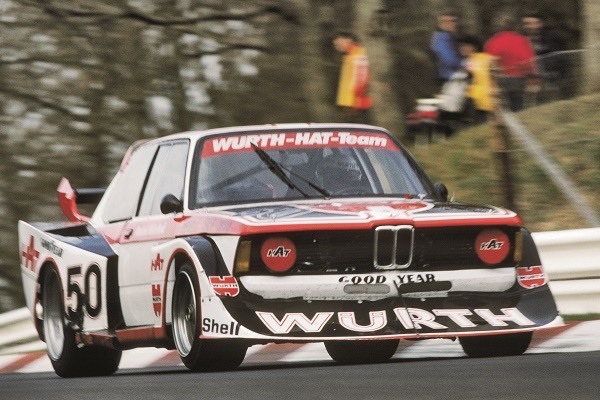 The model for the DTM championship had a six-cylinder engine instead of four. All of its body parts were made of carbon fibre, and its four-wheel-drive provided a 33/67 front-to-rear split. 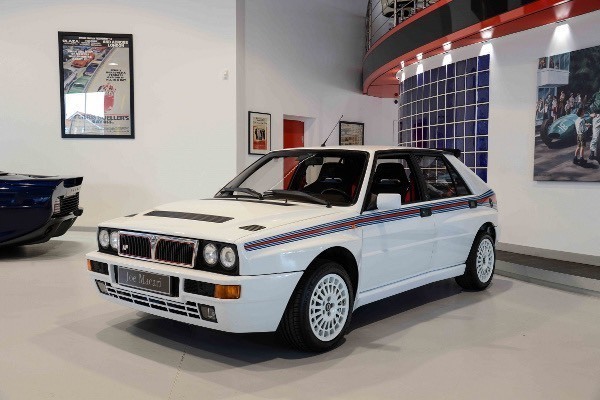 Meanwhile, the race-ready version of the GTA, just like the road-going Q4 version, used quite a few components from the Lancia Delta Integrale – starting from the two-litre and four-cylinder engine to the four-wheel drive. During the 1992 championship, the cars sporting Martini Racing livery didn’t pass up the opportunity to dominate Gabriele Tarquini or Roberto Ravaglia, who, though considered the favorites in the Superturismo Championship, didn’t stand a chance against the Alfa Romeo production team. The members of the Alfa Romeo team were feeling upbeat by the end of 1992. During their début season, they had managed to humiliate their main rival and win the Italian Superturismo Championship. Then, the heads of the racing team came up with the idea to develop a road-going version that would be a little different from the one that had torn up the racetrack. 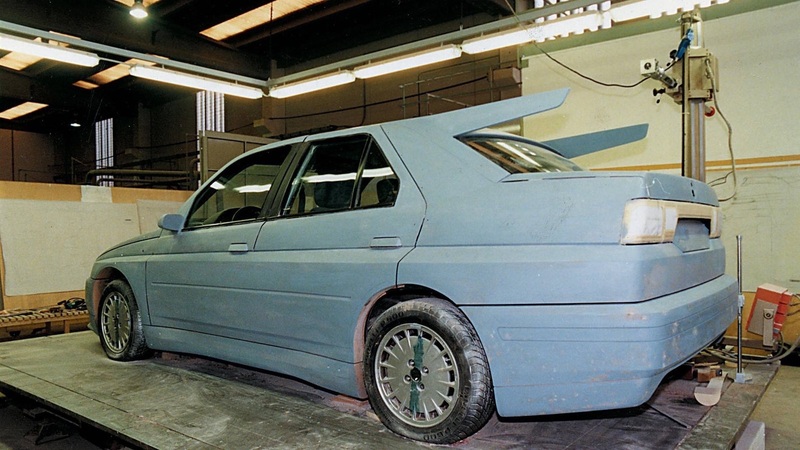 The donor for the new project was the Alfa Romeo 155 Q4 which had all the necessary ingredients. 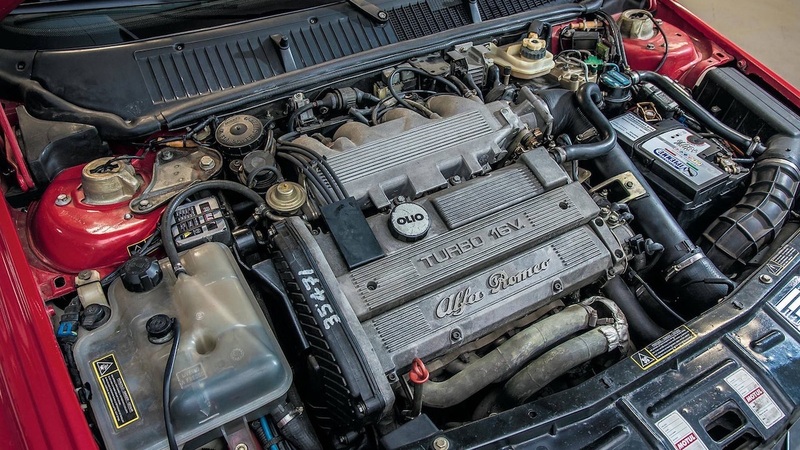 Nevertheless, the project designers made a few important changes, installing a more efficient Garrett T3 turbocharger, an air-to-air intercooler, and a Magneti Marelli direct injection system. In order to improve the 155 Q4’s handling on public roads, they also expanded the front and rear track. 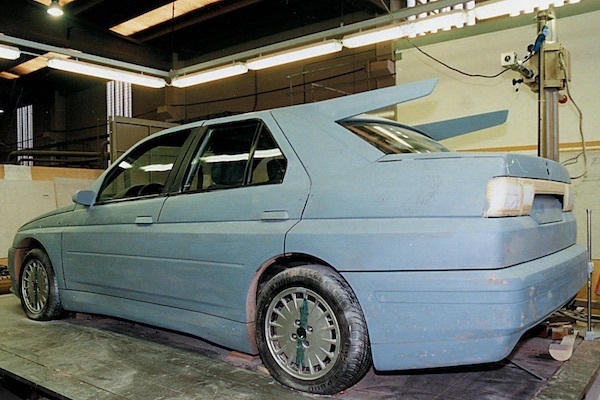 The standard body parts were trashed, and the rear spoiler gave the car more stability at higher speeds. 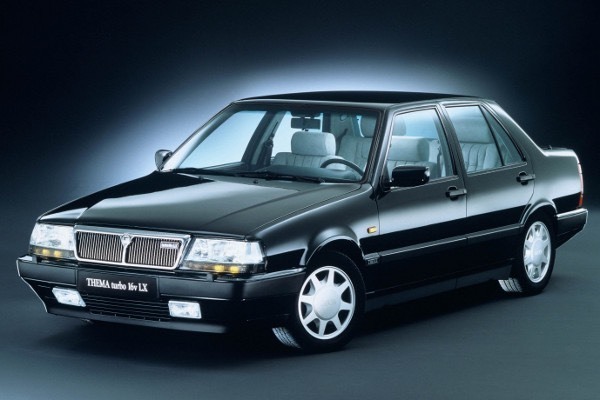 After all of the changes that were made, the car was presented to Fiat Group representatives. They immediately noticed two problems. First, the Fiat representatives wanted the 155 GTA Stradale to have a more powerful engine – the legendary six-cylinder Busso. The adaptation cost eventually scared more than one specialist evaluating the project. Secondly, the cost of production was concerning. 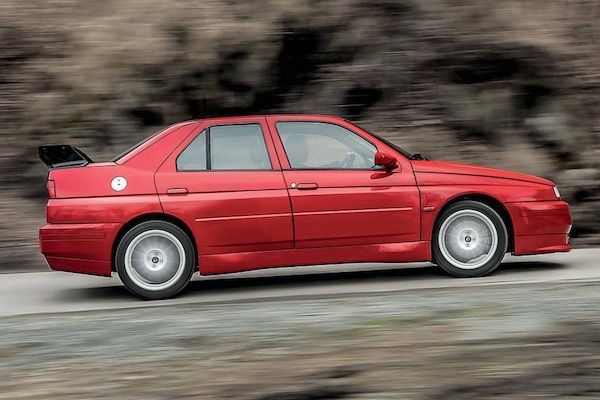 Due to the many changes that had been made, the car had to have a separate assembly line that would have really inflated the end price for the Alfa Romeo 155 GTA Stradale. It was by uttering these words that the fate of the 155 GTA Stradale was determined, and the one and only prototype was moved to the Abarth workshop. 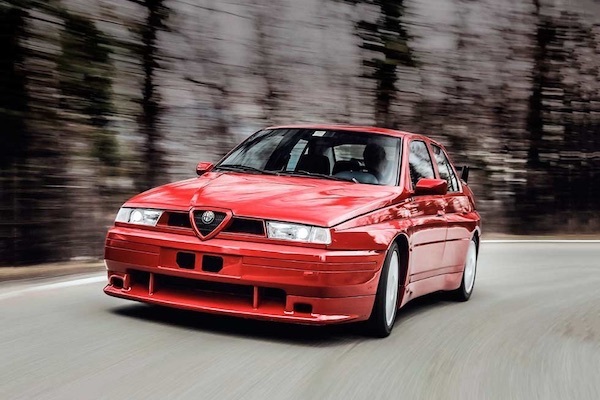 From its very first days, the sportiest version of the Alfa Romeo 155 was constructed so that it could go right out onto public roads. 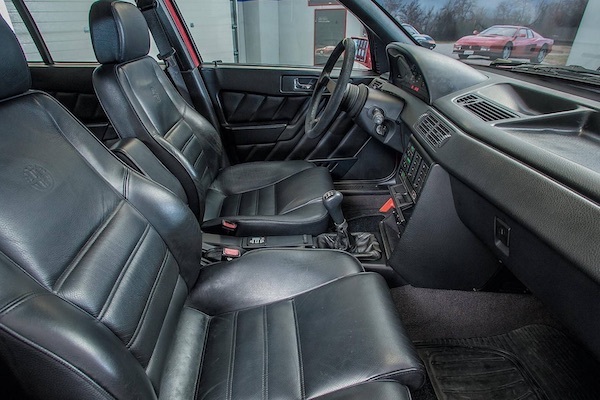 After years of deliberation, the owner of the car has decided to find it a new home – an enthusiast who wanted to have a true legend, a one-off model in his garage. The car was set to go under the hammer at Bonham’s Padua auction. The auction house estimated that the 155 GTA Stradale would go for EUR 180,000–200,000, but for reasons unnamed, the car was left unsold.